Ignition Poker™ Review 2019 - Play Today with a $2000 Bonus! Join now and get an exclusive 100% bonus up to $2000! Visit Ignition Poker Get Your $2000 Bonus for Free! Ignition Poker is affiliated with the Bodog/Bovada brand and trusted as a reliable poker site for U.S. players. Fast deposits with credit cards and Bitcoin ? All legitimate, real-money poker sites like Ignition Poker have strict anti-fraud screens, and that may create a short withdrawal delay. Ignition Casino offers new players signing up from Cardschat a generous first deposit bonus consisting of 100% up to $2000 for casino play and 100% up to $100 for poker play. ? Please read the terms and conditions carefully. Launching in 2016, Ignition Poker has hit the ground running since its debut, with it drawing in players from far and wide. Ignition Poker is actually part of Ignition Casino, so if you are a player who likes both poker and casino gambling, you will be able to enjoy both of these options, just like you may have already done before, playing Bovada poker online. 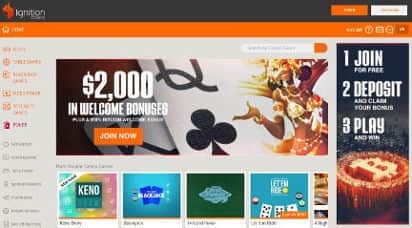 Helping Ignition real money play stand tall as an all-encompassing casino experience, there's no need to log in to different sites because Ignition Casino uses a single wallet system, which makes moving back and forth between the poker platform and the casino platform a piece of cake. If you need more inducement to join Ignition Poker, here it is. When you sign up as a new player and make your first deposit, you will receive a big fat 100% Welcome Bonus: up to $2000 to use in the casino and, to "sweeten the pot," up to $100 more for poker! Unfortunately, residents of New Jersey, New York, Delaware, Maryland, and Nevada are not allowed access to Ignition Casino (including Ignition Poker). 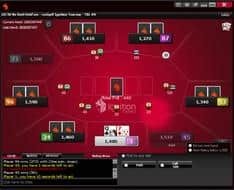 Ignition Poker might have its roots in the original Bovada product, but that hasn&apos;t changed the fact that it has had to prove itself as a legitimate and trustworthy poker brand. Bodog-branded sites have a history of reliability, with Ignition Poker proving to be no different. Operating as the largest US facing poker room, privacy of players is maintain through stringent SSL encryption, such that can rival leading banking systems, which goes someway to counteract the fact that the site doesn&apos;t publish its RTP numbers or carry solid regulatory agency backing. The safety of players is also somewhat assured through Ignition Poker&apos;s pledge of fair play. Standing by a strict code of conduct, Ignition Poker does not profit from players&apos; wins or losses, instead a rake generates all revenue. Collusion practices are also monitored at Ignition Poker to ensure all players remain on an even footing when at the tables. Should a player be identified as in collusion with another, the casino vows to take immediate and appropriate action. Finally, Ignition Poker makes user of the latest random shuffling technology, which meshes together random number generators and various running algorithms to create fair and unpredictable card distribution. This process is certified by iTech Labs, which only rubber stamps the lengths that Ignition Poker are willing to go to ensure total player safety and security. If you find yourself on the go a lot, or simply like to continue playing your games from the comfort of your couch, no problem. Ignition Poker offers you the same opportunity to play your favorite Hold &apos;Em and Omaha cash games, along with Zone Poker, anytime, anywhere on your smartphone or tablet. And, you can play for real money (or with play money, if you prefer), earn Poker Points, and make deposits and withdrawals on your mobile, just like on the computer. If you need further assistance, the mobile help section should answer most questions, or you can call or email Customer Support. Unfortunately, mobile poker players can only play one game at a time and action is limited to cash games only, no tournaments. Hopefully these limitations will be corrected in the near future. However, nothing is more important than the safety of the site, and in that respect, Ignition Poker mobile players are in good hands. Ignition Mobile Poker is every bit as secure as playing Ignition Poker online via a standard web browser. As already indicated in this Ignition online poker review, all players who are signing up for the first time, will receive a very generous Welcome Bonus consisting of 100% of the money they deposit in the first 24 hours, up to $2,000. What poker players might not like so much is that the part of the bonus that can be used for poker is capped at only $100. There are other poker sites, which offer bigger Welcome Bonuses than the initial Ignition deposit bonus. Players depositing more than $100 will have to use the remainder of their bonus in the casino. But, that shouldn't be a problem because Ignition Casino is a full service casino with more than 200 slots along with video poker, all of the frequently played table games, and scratch cards and other casual games. The casino portion of the Ignition bonus has a rather hefty playthrough requirement of 25x the bonus plus deposit. Also, keep in mind that only slots and parlor games count 100%. All other games count only 60% or not at all. Installing Ignition download poker software and playing cash and tournaments on the site release the poker bonus. The bonus is then released incrementally based on the number of earned Poker Points. (See the website for details.) Players have 30 days to clear the bonus in full. We suspect that the poker bonus is deliberately kept small to keep it affordable for recreational players, while discouraging pros and semi-pros with deep pockets from running over them. In any case, if you become a regular player at Ignition Poker, your player appreciation rewards will continue long after the Welcome Bonus. Every time you play, you earn Poker Points, which you can accumulate and convert to tournament tickets or casino bonuses. Poker Points expire yearly on June 1st. 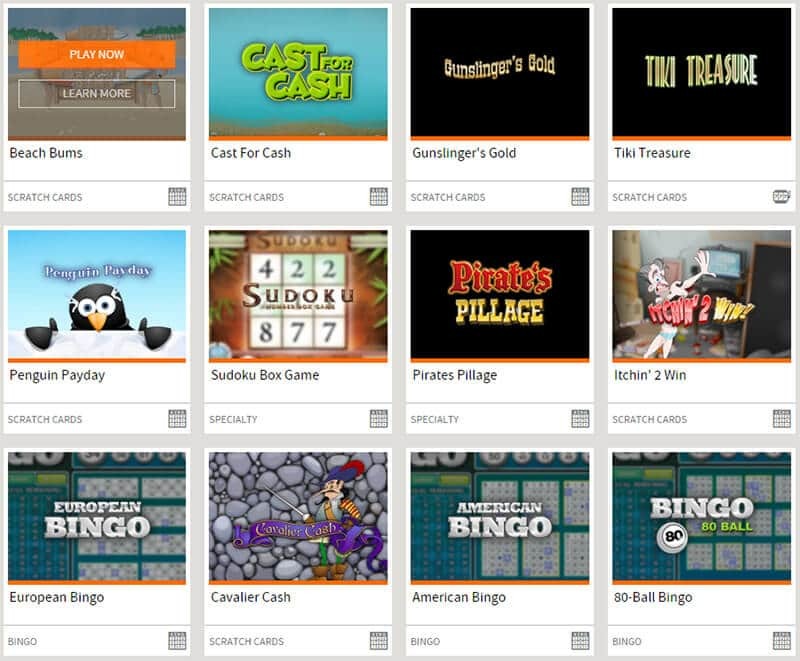 Casino players earn Reward Points, which determine their standing in an 8-tiered loyalty rewards program, with additional benefits unlocked at each level. While there is no indication that there is also a dedicated loyalty rewards program for poker, this system does seem present plenty of room for crossover. Open to poker players and casino players alike. For each friend you successfully refer, you receive 200% of your friend's first deposit up to $100. The bonus has a wagering requirement for withdrawal of 25x bonus for slots (higher for allowed table games) or 3x Poker Points for each bonus dollar. Ignition Poker is a site designed to attract casual recreational players rather than professionals. So, while you won't find certain specialized variations of poker, you will find the same basic cash games that most poker rooms have, including fixed limit, pot limit, and no limit hold &apos;em and Omaha and Omaha-Hi Lo. Another option is a form of speed poker called Zone Poker, where every time you fold, you are moved to a different table. To make the game even faster, players are allowed only 15 seconds to act. Zone Poker is played strictly for very low stakes (2 cents/ 5cents up to 50 cents/$1), but because the pace is much faster than regular poker, it is a very exciting game. Hold &apos;em is by far the most popular ring game at Ignition Poker. While Omaha might be hard to find outside of peak hours, hold &apos;em tables are in action round the clock. Players have a choice of heads-up, six-max, and full ring (9 max) tables. Stakes start at 2 cents/ 5 cents, but typically go all the way up to $10/$20. However, even at the lower ends of the spectrum, you can still win big. Anyone lucky enough to get a Royal Flush wins an extra bonus of 50x the big blind, up to $200. Or, if your hand potentially qualifies for a Bad Beat (Aces Full of Kings or better losing to 4 of a Kind or better), you could win even more. At least three players must have been dealt into the hand and the two hands involved must use both pocket cards and go to showdown. If all those conditions are met, your opponent gets the pot, but you win 100x the big blind, up to a maximum of $1,000! 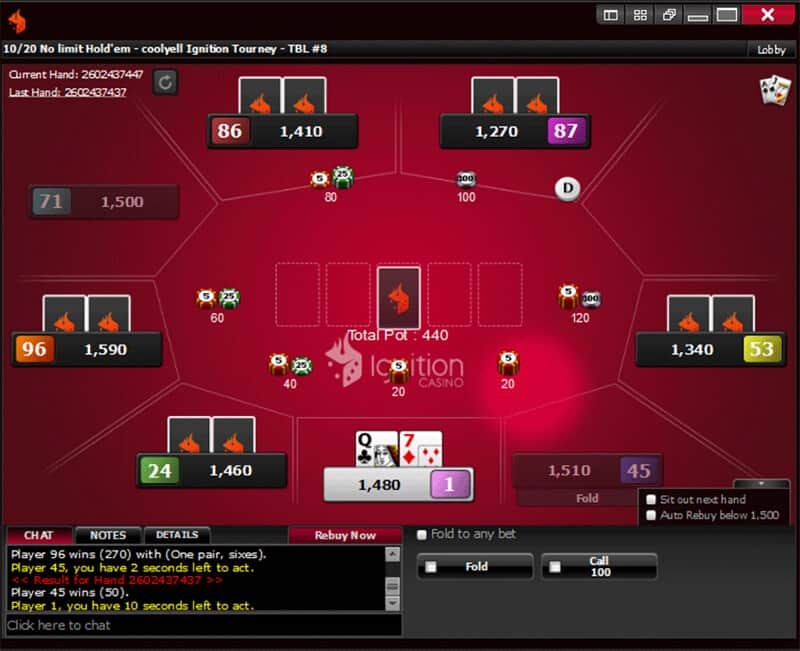 Ignition Poker retains an important feature that characterized Bovada Poker, Anonymous Tables. Instead of players being given a screen name, they are simply given seat numbers, which change each time they play. In addition, third party tracking tools are prohibited and multi-tabling in cash games is more restricted than on some poker sites. The purpose of these policies is to make the games as fair as possible for newbies and casual recreational players while keeping away the grinders and sharks. Players can check their own hand history, however, and if so inclined, use the information to improve their own play. If you love the adrenaline rush of tournament play, and what online poker player doesn't, get your ignition started because the tournament action on this poker site is fast and furious. Here is a summary. Every day of the week this poker site offers various guaranteed tournaments. Buy-ins, starting chips, and prize pools vary, but the starting chip stack is usually 5,000 or 10,000. Buy-ins range from as little as $11 to as much as $109. See the website for the complete schedule. This event, which gets underway every Sunday at 4 p.m. ET and has a first place payout of $20K, is Ignition Poker's biggest guaranteed weekly tournament. Players can either buy in directly for $162 or try to win their way in cheaply through qualifiers. The first event of the day starts at 1:18 p.m., after which there is another one starting at 18 minutes past the hour every hour for the rest of the day until 11:18 p.m. This isn't March Madness. It is Monday Madness! Ignition Poker has lot of them. Buy-ins range from $1.10 to $215, and many different formats are available. So regardless of your individual preferences, you are almost certain to find the right Sit and Go for you! Ordinarily, we hesitate to recommend places with so little online experience to our readers, but in this case, Ignition Casino has not only acquired Bovada Poker, but shares the same parent company and platform (Betting Partners). Bovada Poker itself was only online since 2011, but was a rebranding of Bodog, which was launched all the way back in 1995 and has been a respected name in online gambling for more than 20 years. Bovada was created expressly for American players when they were no longer legally allowed to play poker online on the Bodog site. Initially, Bovada Poker was well received primarily because of its association with Bodog, but in time, the Bovada site gained credibility as an outstanding site on its own. Now history has repeated itself with Ignition Poker. Neither Bovada Poker nor Ignition Poker has disclosed the reason for Bovada Poker discontinuing, but rest assured, Bovada is not going out of business. The site is still open for casino games, sports betting, and horseracing. But with the poker room gone, many former Bovada poker players have already found Ignition Poker, mobile or on your computer, to be a viable replacement. Another reason why signing up with Ignition Casino makes sense for former Bovada online poker players is the fact that Ignition Poker is actually a rebranding of Bovada. In other words, the two rooms should be virtually identical. We can't promise that every feature will be 100% identical because, after all, Ignition Poker is a new site, but the similarity will certainly be much greater and the readjustment to a new playing environment much easier than if you were to simply switch to any random online poker room that accepts American players. While Ignition Poker is a relatively new site, it has been running since March, 2016, this means that its reputable track record is growing, becoming an established platform for recreational poker players across the States. 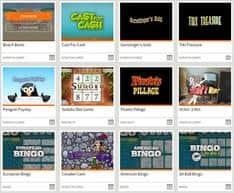 One area where most online casinos and poker sites that cater to American players need to do better, and Ignition is no exception, is banking. Ignition casino and poker players currently have the following deposit options: MasterCard, Visa (including Visa gift cards), American Express, Discover, Rapid Transfer, and Bitcoin. For all of these options, except for Bitcoin, there is a fee. Check by Courier: The minimum withdrawal is $100 and the maximum is $3,000. Bitcoin withdrawals are processed once every three days, which isn't great, but still a lot faster than waiting 5-10 business days for a check. Plus, it is the only withdrawal option that is totally free regardless of your reward level. If you are new to Bitcoin, the website provides helpful information on how to set up an account and use this convenient digital banking method. Ignition rewards levels can give you cheaper rates for payouts. While all players are entitled to a free payout every 120 days, earning your way to a silver or gold level gives a free payout every calendar month. If you earn the platinum, titanium or diamond level, you can free withdrawals. It's important to remember that certain payment options may still charge you additional fees for receiving funds. Running 24/7, you&apos;ll have no bother contacting the Ignition Poker team should you run into trouble, with its response times ensuring that no player is left waiting. As the name Ignition Poker suggests, this poker site is not for the timid, but it is for anyone who loves action and excitement and friendly competition and is willing to take a little risk in the hope of scoring some big wins. But instead of revving up the engine of your car, you kick off your ignition experience with a nice bonus that will give you extra ammunition with which to test your luck and skill on your favorite casino and poker games. As we would hope would be the case, Ignition Poker worked hard since launching their site, taking on board customer feedback and improving the experience for all players. While there is always room for improvement, it's great to see a growing and high quality site like Ignition Poker. Mobile gamers can also enjoy the fast-paced action, whether playing on the go or simply from a phone or tablet. Visit Ignition Poker Get Your $2,000 Free Bonus! Join Ignition Casino and get a 100% Welcome Bonus up to $2000!